LAPD detectives Bud White and Ed Exley (Russell Crowe and Guy Pearce) are caught up in a web of lies. In his quest to bring L.A. Confidential to the screen, Hanson curated a series of vintage postcards, magazine clippings and stills that spelled out the texture he wanted for the film. 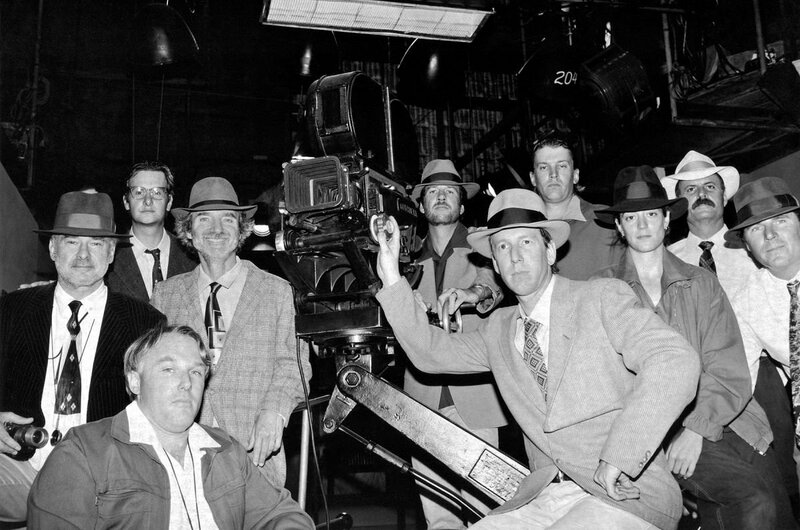 Studio executives, actors and members of his creative team were given Hanson’s vivid pitch, which pulled a noir-flavored novel out into the layered sunlight of the City of Angels. Spinotti and Hanson conspire with a smile while shooting their film noir homage. With that in mind, Spinotti took advantage of the city’s natural light and worked on interior locations and soundstages to simulate and match those natural layers, giving the film a more contemporary and realistic feel. 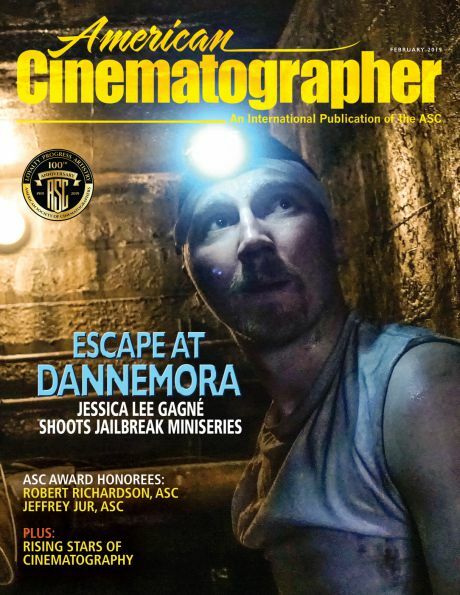 The cinematographer’s work on the picture earned him Academy and ASC Award nominations. He was honored by the ASC with the Lifetime Achievement Award in 2012. L.A. 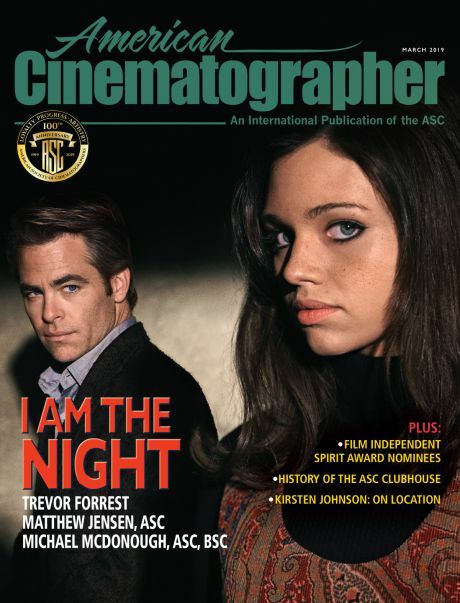 Confidential was selected as one of the ASC 100 Milestone Films in Cinematography of the 20th Century. L.A. 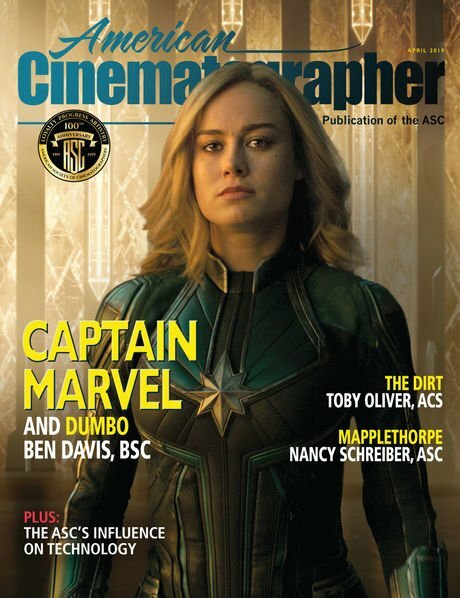 Confidential was covered in-depth in the October 1997 issue of American Cinematographer. In this fun behind-the-scenes portrait by unit photographer Merrick Morton, the crew of L.A. Confidential really gets into the film noir mood. Featured are Spinotti and Hanson (both wearing fedoras, left of the camera).